Interesting paper and no doubt useful chemistry…. However, can this really be considered an “asymmetric Knoevenagel condenseation” or is this simply a regular Knoevenagel condesation in the presence of a resolving agent? via The Catalytic Asymmetric Knoevenagel Condensation – Lee – 2011 – Angewandte Chemie International Edition – Wiley Online Library. via Synthetic ozonide drug candidate OZ439 offers new hope for a single-dose cure of uncomplicated malaria — PNAS. I have mentioned Oxytocin previously and that it was being studied for its effects on social behavior. The earlier studies suggested that Oxytocin might have a beneficial effect in treating conditions such as Autism. This latest PNAS paper is interesting since it suggests that Oxytocin may play a role in group behavior, in this case ethnocentrism. Fortunately, according to the investigators oxytocin appears to enhance the positive aspects of ethnocentrism, ie. “intergroup bias”, versus the negative aspects “out-group derogation”. Oxytocin promotes human ethnocentrism — PNAS. This is a little hard to believe, but according to the authors they have found a plant which produces nevirapine (albeit the wrong enantiomer) as an endpgenous metabolite. via ScienceDirect – Tetrahedron : Isolation of optically active nevirapine, a dipyridodiazepinone metabolite from the seeds of Cleome viscosa. The macrocycle shown below was recently published in Tetrahedron Letters (Volume 51, Issue 10, 10 March 2010, Pages 1361-1363 ) and this time they have a single crystal X-ray structure to back it up. Despite what you might think at first, the ring is closed in very good yield (44-93%) since it exploits the preferred amide-confromation of the secondary aryl benzoic acid amide. This might make an interesting template for drug design. Kim et al. (Bioorg. Med. Chem Lett. ) assign the structure below to a novel neolignan piperkadsin C. Hmmm??? This can’t be right. 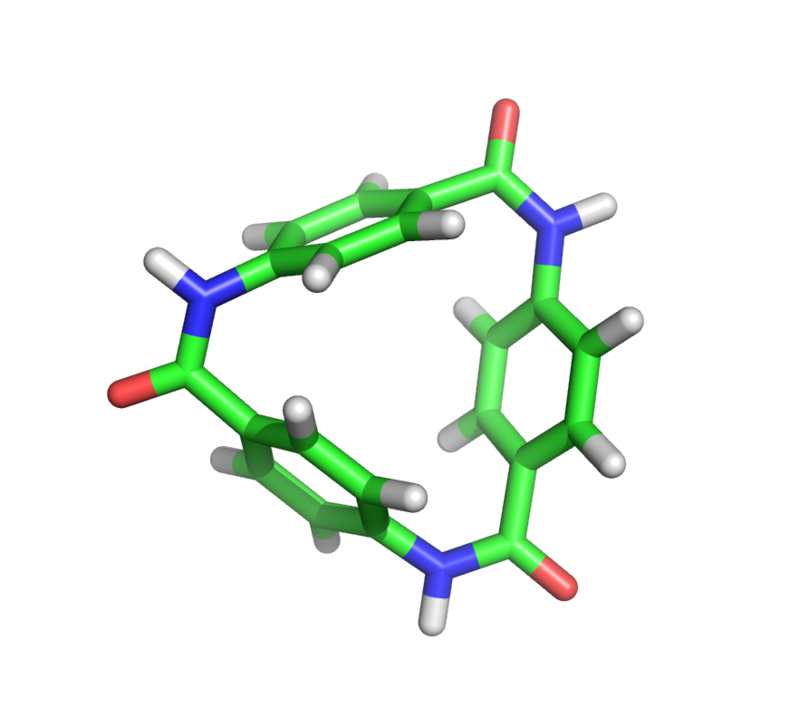 I came across an interesting site that provides useful information for anyone interested in computer aided drug design. BindingMoad.org is a database derived from the PDB, but includes only high resolution protein structures with bound ligands. Other information such as binding data is also included.